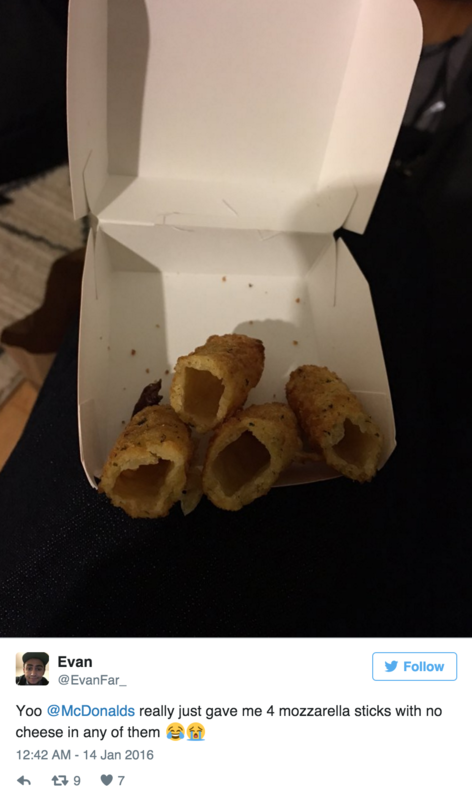 The fast food giant sparked a social media storm after angry customers ordered the new mozzarella sticks and got nothing but "fried air"
When it comes to the fast food chain’s new mozzarella sticks, some McDonald’s customers are far from lovin’ it.And they’re taking to social media to vent. The problem?Well… it’s a lack of mozzarella. Another spokesperson, Jeanette DeBartolo told ABC News: "In these instances, we believe the cheese melted out during the baking process in our kitchens and shouldn't have been served… We apologize to any customers who may have been affected. We are working to fix this in our restaurants." 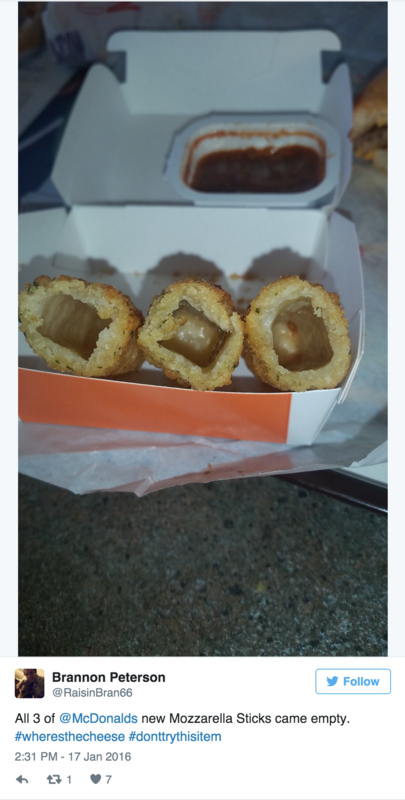 McDonald’s debuted the mozzarella sticks this month as part of their “McPick 2” promotion which allows customers to pick either a McDouble, McChicken, small fries and mozzarella sticks for just two dollars. 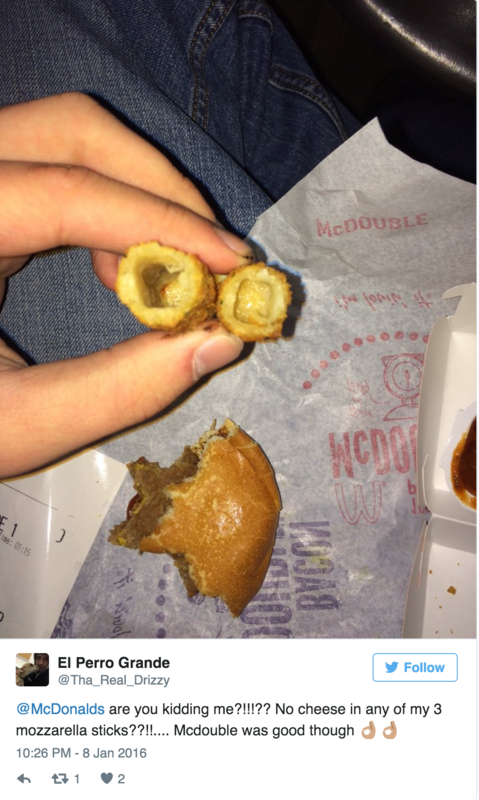 Are you a regular McDonald's customer? Check out ‘The Biggest Loser’ trainers Dolvett Quince & Jennifer Widerstrom tell Larry King what the worst junk foods available to Americans are and weigh in on whether or not fast food chains can actually be healthy.